Motoring taxes have been handled so badly that drivers no longer trust what ministers say the charges pay for, an MPs' report says. 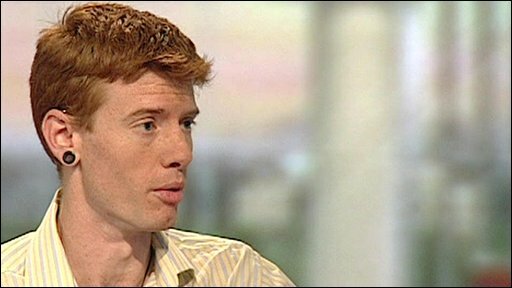 Inconsistency over justification for green taxes "tarnished their image", according to the transport committee. Ministers should also abandon the link between unpopular congestion charge schemes and transport funding, it adds. The government said billions had been spent on public transport and it was committed to improving travel options. The cross-party committee concluded that road users remained "an important source of revenue" but needed to be treated "fairly and with openness". For the Conservatives, Theresa Villiers said: "This report is further evidence of the mess Labour have made of motoring taxes. "Their attempts at disguising retrospective car tax hikes as green taxes has backfired. 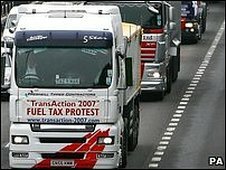 Dressing up revenue raisers designed to plug the enormous black hole in Gordon Brown's public finances as green taxes fools no one and leaves road users aggrieved." Voluntary road pricing schemes - such as allowing drivers to pay charges related to distance, time or congestion instead of car tax or fuel duty - could be an option, the committee suggested. Richard George, Campaign for Better Transport: "If you drive a lot more, it's fairer that you pay more"
They said drivers needed "clearer signals" about how their taxes were being spent to reduce congestion and pollution. The report said: "Fuel duty has been presented, at different times, as a tool to reduce carbon emissions, a source of general revenue, and a means to fund transport investment. "We are concerned that motorists are mistrustful of the government regarding taxes." Chairman Louise Ellman added: "The government handled a phased set of increases to Vehicle Excise Duty (car tax) so badly they tarnished the image of environmental taxes." Taxing drivers according to how much they use their cars remained the fairest method but the amount raised could be limited by the economic climate, she said. Instead, the committee recommended the government develop other measures to address congestion. 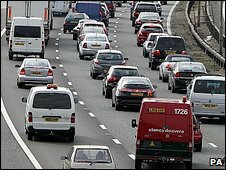 The committee said proposed city-centre congestion charge plans had proved "unacceptable" in many areas. Manchester and Edinburgh have rejected congestion schemes in recent years while plans to further expand the scheme in London were dropped last year. Ms Ellman said distribution of money from the government's Transport Innovation Fund should no longer be tied to such schemes. But she believes individual drivers might be willing to pay road charges if they could offset them against road and fuel duties or get other incentives. She said a scheme in Oregon, in the US, which linked charges to duty rebates and the offer of insurance and entertainment services, had proved successful. Other suggestions the committee makes are for locally-funded transport improvements and tolls for foreign-registered lorries. It also says car parking charges must be "proportional" and local authorities should not be charging excessive prices to pay for non-related services. Although it said it had no evidence this was happening, the public was concerned about the issue. Similarly, it says penalty fines must not be used as a "blatant" tool to raise money from motorists and councils must spend more of the revenue raised on creating more parking spaces and improving signs. The Department of Transport said it had no plans to change the Transport Innovation Fund but stressed councils would still continue to receive funding if they did not pursue congestion schemes. As well as increased investment in buses, trains and cycle routes, it said widening roads, extending hard shoulders and improving junctions would help tackle congestion. "We are committed to implementing innovative and far-reaching measures to improve the transport options available," it said. RAC Foundation director Professor Stephen Glaister said drivers were given "no clear explanation" of what they got in return for around £45bn paid in taxes each year. AA president Edmund King added that the public had lost trust in all political parties on motoring issues.